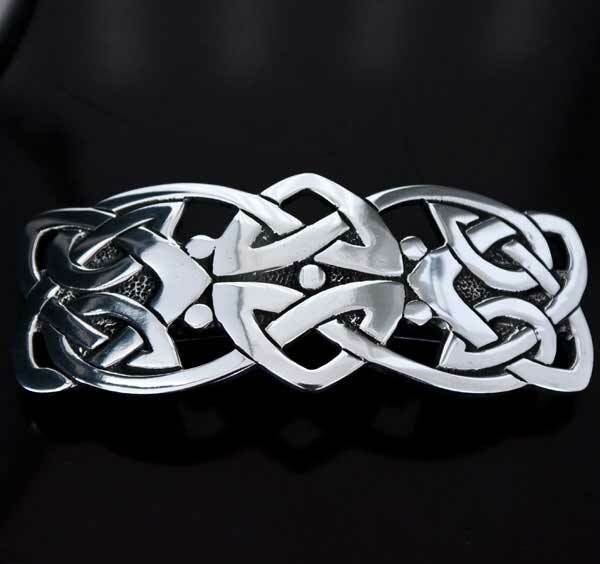 Adorn your hair with this stunning Celtic knotwork hair clip, or barrette, which is cast in pewter then hand finished and highly polished to a beautiful sheen. Features an easy to use stainless steel clip on the reverse. Supplied in a soft velvet draw-string pouch bag for safekeeping. Just received my Celtic Knot Hair Clip. It took a couple of days longer than expected but was worth the wait. It is gorgeous. Looks very well made.